Ebola Patient Will Be Treated In Atlanta Hospital : The Two-Way An isolation unit at Emory University's hospital will be used to treat a patient infected with Ebola, the virus that has killed more than 700 people in a recent outbreak in West Africa. An isolation unit at Emory University's hospital in Atlanta will be used in the coming days to house and treat a patient infected with Ebola, the virus that has killed more than 700 people in a recent outbreak in West Africa. Announcing the pending transfer of the patient Thursday, Emory, which like the Centers for Disease Control and Prevention is based in Atlanta, issued a statement saying it will use "a specially built isolation unit set up in collaboration with the CDC to treat patients who are exposed to certain serious infectious diseases." The unit is one of four such facilities in America, Emory said, describing it as being "physically separate from other patient areas." Officials at Emory University Hospital say they don't know when the patient will arrive. They also didn't give any details about the patient — but the person being treated could be an American who was infected with Ebola while working in Africa, according to a report by CNN that cites an anonymous source as saying a charter plane has been sent from Georgia to retrieve two patients. As NPR reported this week, Dr. Kent Brantly and Nancy Writebol are among three Americans who contracted the disease while working with the charity Samaritan's Purse. CNN says at least one of the two (the third patient has died) could be taken to the Emory facility. 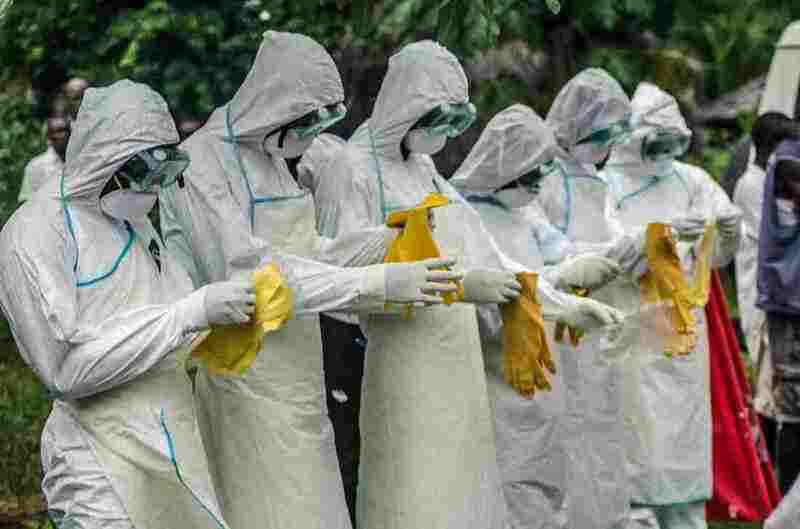 Health experts are calling this Ebola outbreak large, complex, and difficult — and it still hasn't slowed down. "In only four days, the total number of cases has risen by 122, or about 10 percent," NPR's global development blog Goats and Soda said of the Ebola outbreak today. And CDC Director Dr. Thomas Frieden says he's sending 50 more health experts to help fight the outbreak. "The bottom line is that Ebola is worsening in West Africa," he said. "CDC, along with others, are surging to begin to turn the tide. It's not going to be quick, it's not going to be easy. But we know what to do." U.S. officials are also hoping to develop a vaccine to fight Ebola. CNN reports that the National Institutes of Health's infectious disease unit is working to test a vaccine on humans in coming months that has shown signs of successfully treating primates.